← Watercolor Wednesday – Yikes! Just for a moment…let’s forget about my grooming troubles and the loss of my very best Godmother in the world….let’s forget about my belly boo-boo and my snaggletooth. …let’s put aside the our differences with the mailman. Yes, my friends and my furiends, let’s forget about everything else except today. For today marks my 9th Blogoversary. NO WAIT…. stop the presses. This just in: Leave it to my pal Kismet, actually, I think it must have been Angel Kyla who spotted it first…I have only been blogging for SIX YEARS. Not nine. I started in 2009 and, um, well, please feel sorry for the peep. For one thing, She can’t add, subtract, multiply or divide. Secondly, She’s had a bad week. Third, She’s looking for a new groomer for me, as you know, and that can take a lot out of a peep. Lastly, She saw “2009” and wrote “9th” Blogoversary instead of “6th”. Even though I dictated it correctly. One more thing – and I found this little error myself – my blogoversary is TOMORROW – ’cause the WordPress folks are in AUSTRALIA and they’re a DAY AHEAD of me and they sent me a nice little note earlier. Geez. I should just go back to sleep. So, for those of you just tuning in, pay no attention. For those of you who think I’m a liar because you read this post earlier today, well, You. Would. Be. Wrong. I’m no liar. Confused sometimes, yes; a liar, never. 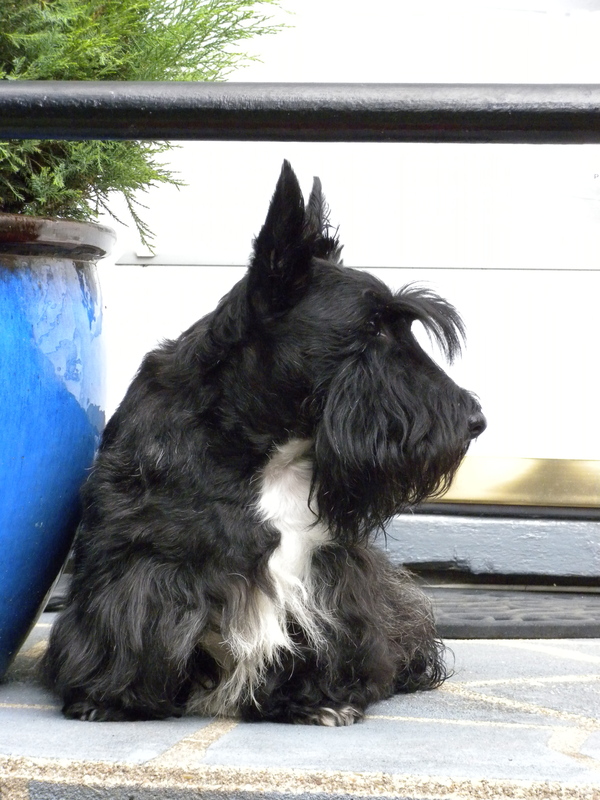 A Scottie never lies. Back to today. Or tomorrow. Or whenever. Let’s celebrate anyway, shall we? 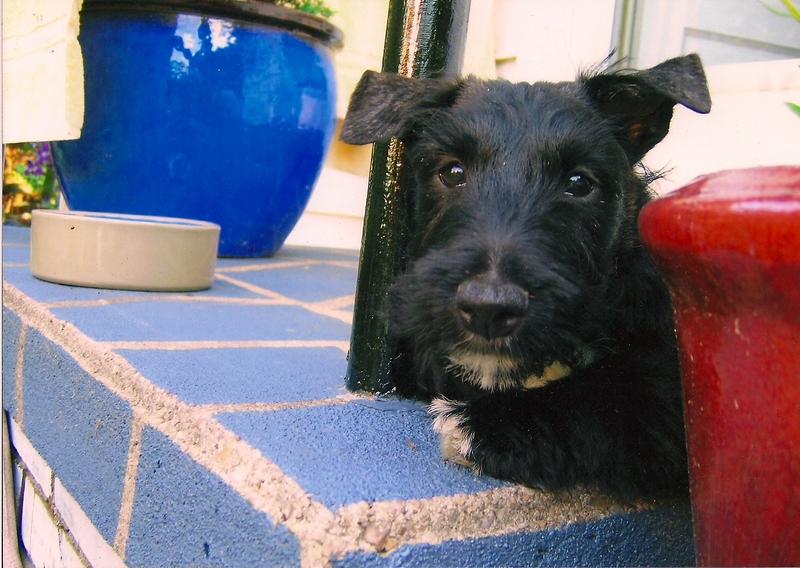 You knew me when I was a just a pup. 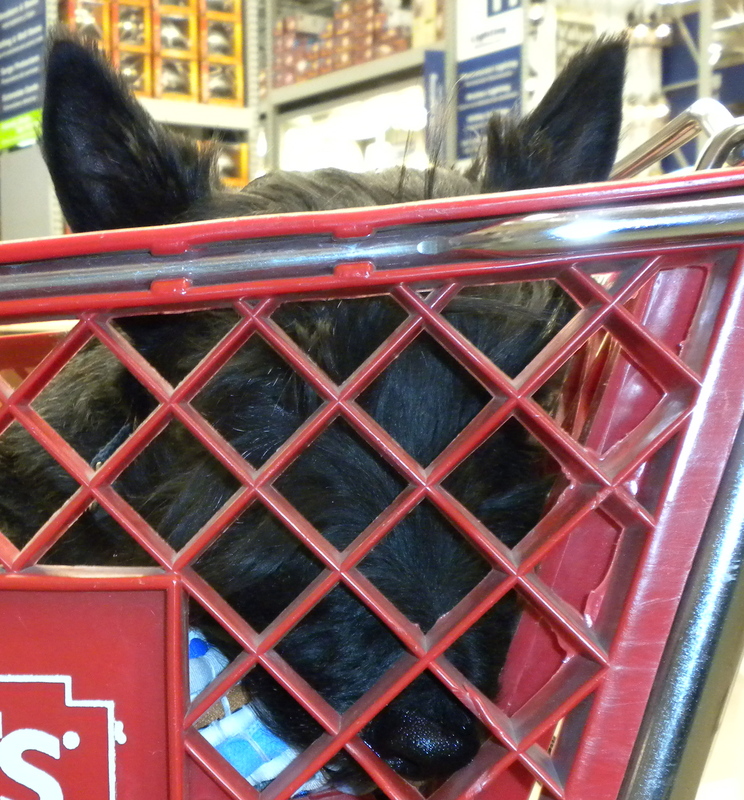 This entry was posted in The Scottie Chronicles and tagged animals, dogs, friendship, love, pets, puppies, Scotties, Scottish Terrier. Bookmark the permalink. Hey Stu, you’ve really stuck with it. Happy Blogiversary!! Our Mom says if you can’t find a groomer, come up on the Blue Ridge Parkway for a couple of nights and drop by Rocky Creek Farm. She’d be honored to groom you!! OH! You know I’d love that. Especially since fall is just around the corner! Oh, Oh…..I’m getting excited about this! My dear Dakota, thank you for these good wishes. It’s folks like you who help keep me going. You make me so happy with your blog. 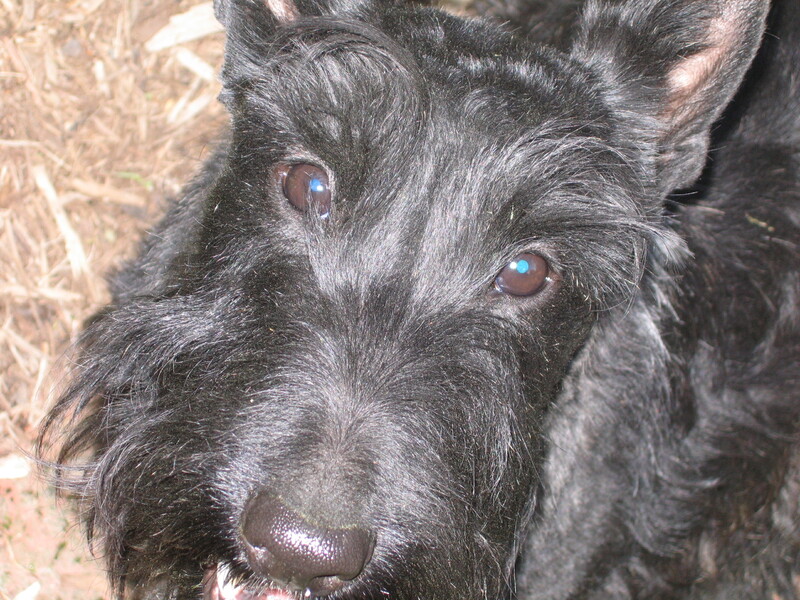 I was missing my scottie girls, Raelinn and Bonnie after they crossed the Rainbow Bridge and your blog brightened my days. Congratulations on 9 wonderful years of your blog!! Thank you for spending time keeping us all informed on your world. I love it!! and you too!! I could cry. Thank you. I’m so very glad you’re a pal ‘o mine. Congratulations Dear Stuart! You, your Peeps, and All of your friends in blogville have enriched Our lives! Thanks fur the pics, and news both good and bad. True friends help each other through Thick and Thin. It’s what life is all about! AROOOOOOOO! To you and yours Gavin buddy! Thank you! And I’m honored to be a part of yours. Nine years! Of time you would make a stream upon whose bank you would sit and watch its flowing. I have loved watching you over the years Stuart. Happy Blogoversary Stuart and thanks for being my friend. You are indeed my pal, SWTS. How beautiful. Ya are a poet too, Sweet William! Kinda like the Shakespeare William, huh? Congratulations Stuart. I have only found you for about 3 years but I have enjoyed following your life. A big AARRROOOOOOOOOO to you. Bentley, my buddy, 3 years is a long time pal. Thank you! Your archives only go back to August 2009. That makes it six years. You mean there are three years of Stu that we missed? We have to hide it from Kyla that there were three years that she never got to see. Ya, we wanna see “the missing years” too!! So do I. Grrrr…… I was just checking to, uh, see who was paying attention. Uh…no wait…that won’t work. Um, how about I was wrong? No wait…you KNOW that won’t work, ’cause I’m never wrong. Blame it on the peeps…… Grrrrrr…..Lemme fix that. Stuart I noticed that but I just checked it off to Dyslexia. I was just happy to be going along in your celebrating. Stuart must have been doing a headstand and wrote six but when viewed normally it was a nine. We didn’t say you weren’t telling the truth. We just wanted to catch up on what we missed. Anywon kin mayk an eror. Ya, we figured the word press thingy wouldn’t let ya store the 1st 3 years! BOL!! It’s all good, Stuart. Never thought you or the Peep would keep any thing from us on purpose! Thank Dawgness. I got stuck in my headstand and the peep, well, She’s just a peep. But I think I’ll keep Her. Happy Blogoversary, Stuart! We found you about 3 years ago and we thank our lucky stars that we did! You are a real treasure, and you’ve added so much fun to our day and have given us lots to think about! Silent Sunday, Where In The World and Watercolor Wednesday are such fun! Please thank the Peep, too. 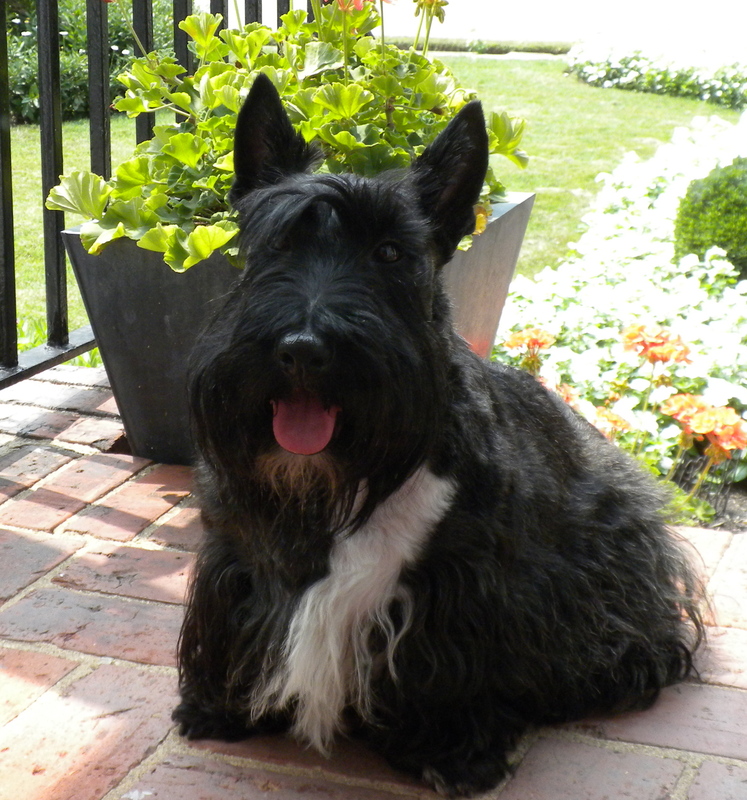 She’s doing a great job with The Scottie Chronicles! Thank you my great friends! You were the first blog that we followed and we are glad that we found you. Thank you for the wonderful pictures and outstanding narrative that you’ve provided over the years. HAPPY BLOGOVERSARY. So sweet of you. ArrOOOOOOO! Hey Stuart – HAPPY BLOGAVERSARY!! Who’s counting the years?!? We’re happy to count you as a friend!! OOOHHHHH. Now I’m gonna cry for sure. We just love you, Stuart. Well said and documented. Happy blogaversary. Thanks from my the bottom of my frog dog feet! 9…6…whatever – the point is the celebrating!! AROOO! Happy Blog-aversary, Stu! We love checking in with you! You’re my bloggie buddy for sure. Thanks! Off to the ice bucket now….A grrrreat idea! Thanks for all! 6 or 9…today or tomorrow…either way…HAPPY BLOGAVERSARY STU-AROOOOOOOO!!! We wish you many more adventures to blog about! Happy 6TH BLOGAVERSARY to you, Stu, and to your tireless PEEP! Though we only discovered you about 1 year ago, we have thoroughly enjoyed your adventures, sage advice, neighborhood patrol reports, Squirrel and Dilly observations and reviews, not to mention Ace Reporting of all the GOOD News in da World, tooths cleanings and belly boo-boos, Trifexis (UGH!) polls, and stories about your Peeps’ doings and how well dey take care of you! 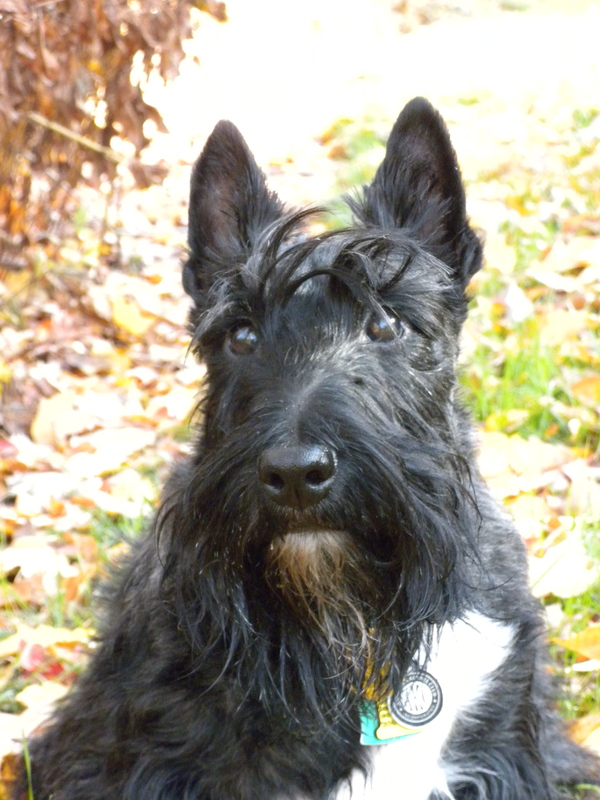 We have become so attached seeing you and all your friends daily on The Scottie Chronicles, that we went into withdrawals recently when you went to a Play-cay with Sniglet, and your Secretary/Peep went on Vacay too. We had to look up some of your old blogs to keep us happy ‘cuz we missed you! We’re so happy we found you! You’re one Special Scot! Thank you for all of da hard work it must be to manage your peep and put out such a splendid blog! We Love you and your blog! Thank you! Oh, yes, your pictures are just adorable! 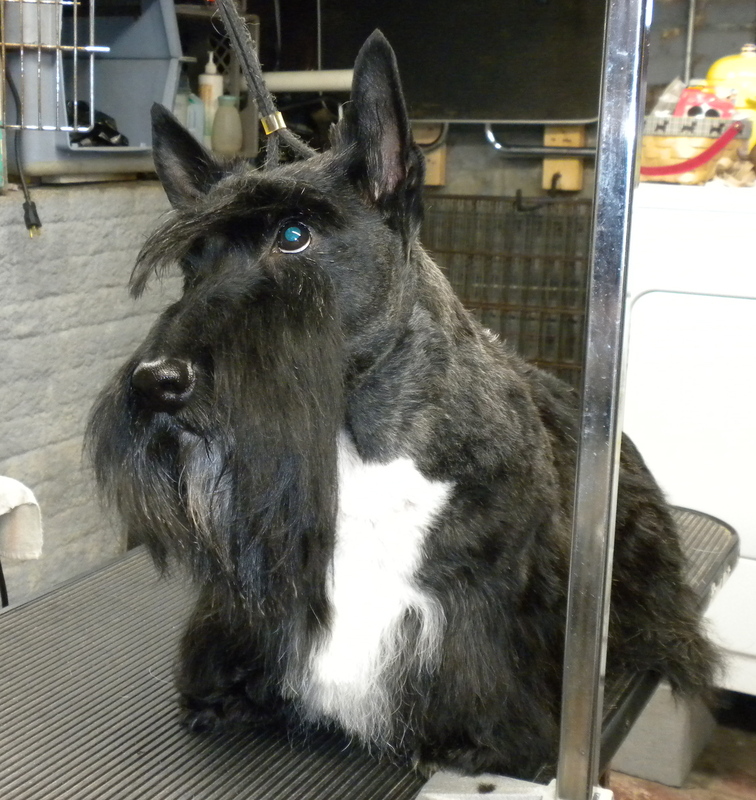 You went from a darling Scottie puppy to a very handsome adult Scottish Terrier! You are a fine Lad! We love you! Happy birthday lovely lovable Stuart. Great guy, great photos. OOOOHHHH! That’s a cool story! Thanks my grey pal! That’s what the peep says. So it must be true. Tee Hee! I’m heading over to your place to pay you a visit. Why can’t I find your bloggie any more??? … hmmm what keys should mommy be pressing?? & anytime you come to NY you can visit for sure!!! 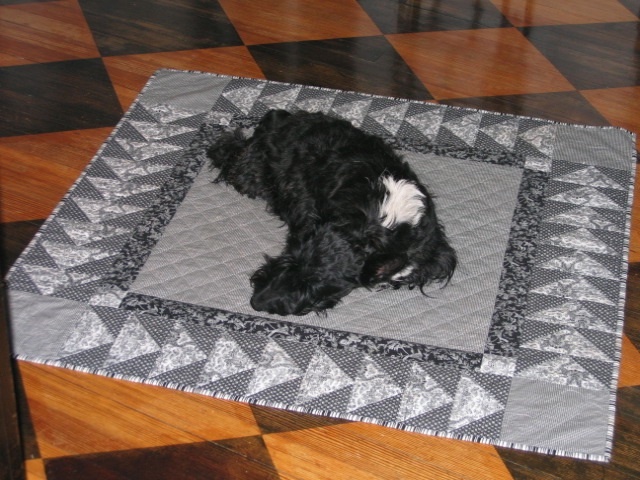 Oh me….can’t find your bloggie! What’s wrong with moi? Congrats Stuart and Peep! You are the standard Mama and I aspire to on my bog. You are witty, charming, funny & handsome…who could ask for more! Your biggest fan in NC, Skyler Braveheart. Oh my. I’m really blushing now! Ahem – excuse me. That’s 42 dog-blog-years.